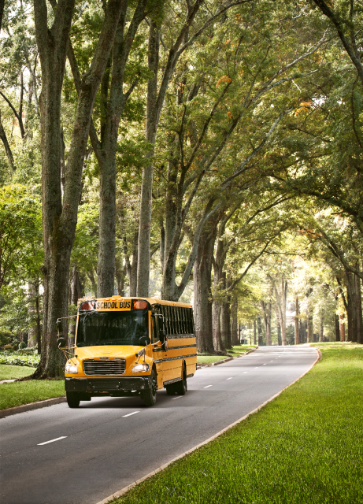 ATLANTA – September 25, 2017 – Thomas Built Buses, along with Detroit, is featuring the first Saf-T-Liner® C2 school bus equipped with the new Detroit™ DD5™ medium-duty engine at the North American Commercial Vehicle (NACV) show. 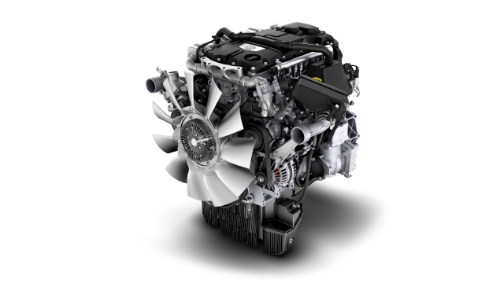 The DD5 engine, which is the latest in medium-duty engine technology, delivers power, performance and best-in-class fuel economy and reliability, in addition to easier serviceability and a lower cost of ownership. It features top-load oil and fuel filters and the longest service intervals in its class, with up to 45,000-mile change intervals. It also meets 2017 greenhouse gas (GHG17) standards. The global medium-duty engine platform on which the DD5 is based benefits the pupil transportation market particularly well, utilizing innovative technology such as variable exhaust cam phasing, which allows additional heat to the exhaust stream. 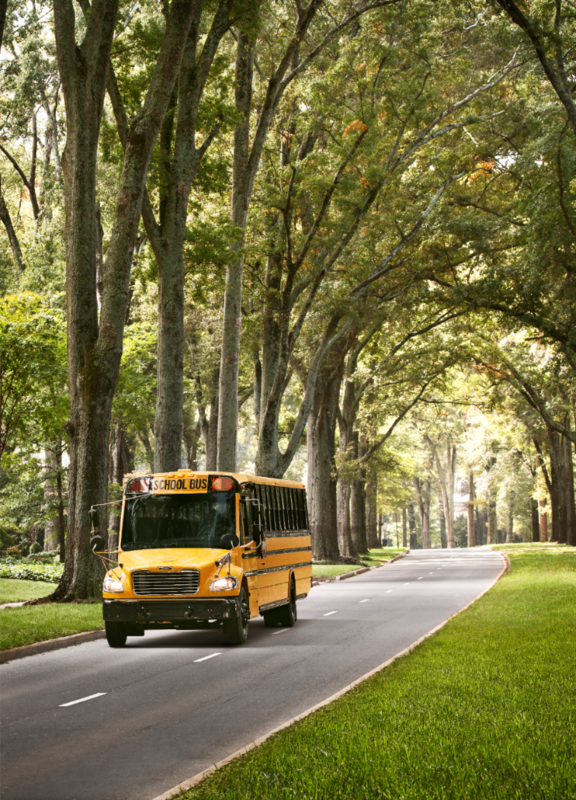 This enables efficient operation of the aftertreatment system in low speed, stop-and-go operations, which is ideal for school buses. The DD5 also comes with the most advanced connectivity platform in the pupil transportation industry, Detroit™ Connect Virtual Technician remote diagnostic service. Virtual Technician provides the most in-depth and advanced engine diagnostics and intelligence in the industry. Within minutes, the driver or fleet manager knows the cause of the code as well as the level of severity. Virtual technician also makes suggestions on how the fault can be resolved and which parts may be needed to fix the problem. Critical faults are sent the Detroit Customer Support Center, where an expert analyzes the fault event and provides additional detail to the fleet. Full fault event details, including fault event diagnostics, history and trends are available via the new Detroit Connect portal. The Detroit DD5 and the Detroit DD8™ will be available for order in 2018 from any Thomas Built Buses dealer. Thomas Built Buses, Inc., headquartered in High Point, N.C., is a subsidiary of Daimler Trucks North America LLC, the largest heavy-duty truck manufacturer in North America and a leading manufacturer of class 4-8 vehicles. Thomas Built Buses, along with Detroit, is featuring the first Saf-T-Liner® C2 school bus equipped with the new Detroit™ DD5™ medium-duty engine at the North American Commercial Vehicle (NACV) show. 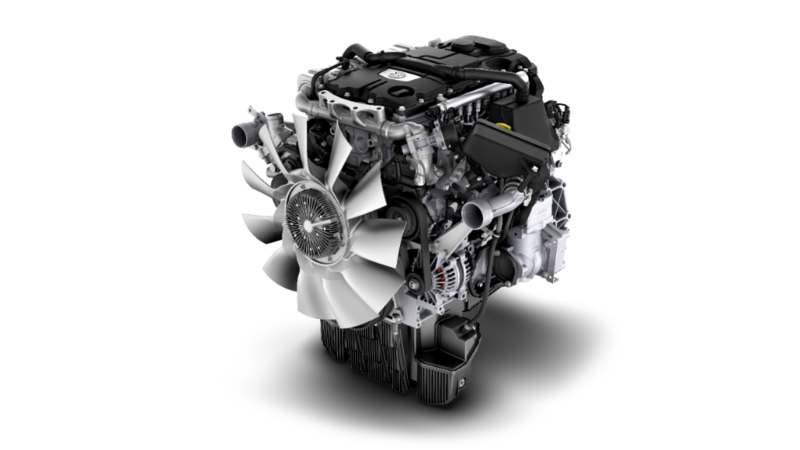 The DD5 engine, which is the latest in medium-duty engine technology, delivers power, performance and best-in-class fuel economy and reliability.